Ø Mammad Ibrahim’s lawyer Yalchin Imanov filed a verbal motion for forensic medical examination of the victim Oruj Valiyev. Narimanov District Court, chaired by judge Turgay Huseynov, held a hearing on the case of Mammad Ibrahim, advisor to the Chairman of Azerbaijan Popular Front Party (APFP). At the start of the hearing, the judge announced that the public prosecutor, Ferahim Huseynov, has been substituted by another public prosecutor, Rizvan Sultanov. He explained that this is due to the annual rotation of public prosecutors across courts. Oruj Valiyev, who has been recognized as the victim in the case, testified that he works as a laborer and that on 29 September 2015, at around 7.00-8.00 pm, he saw a crowd of 5-6 men fighting with two other men as he walked past them in Narimanov district. Oruj Valiyev said he approached the men in an attempt to separate them, and that Mammad Ibrahim had punched him once in the chest and insulted him. Valiyev said that he did not know either of the men and that he filed a complaint with the police on October 1, stating that Mammad Ibrahim had punched him. The victim’s answers to the lawyer’s questions contradicted his testimony provided at the hearing; while in his testimony he had said that the incident had happened at 7.00-8.00pm, in response to the lawyer’s question, he said it had happened at 9.00pm. The victim could not answer the lawyer’s question on what damage he had sustained. Oruj Valiyev’s court testimony contradicted his original complaint and statement provided to the police. The lawyer requested that the complaint letter and statement be read out to the court. The judge agreed to do so, and it turned out that in his statement the victim had stated that he was punched several times, whereas in his court testimony he said that he had been punched once. The victim said the contradiction was due to his memory problems. The statement taken from him at the police office states that Valiyev came to the police office on September 29, i.e. the day the incident happened, and that the complaint letter was written on the same day. However, in his court testimony, the victim said he filed the complaint with the police office on October 1. The lawyer asked the victim to explain this contradiction. Valiyev first replied that there must have been a mistake with the date in the testimony, but then said that he had not written the statement himself, as he does not know the Latin alphabet. Valiyev added that although he signed the statement belonged to him, the statement was not read out to him after it was written, i.e., he had signed it without understanding its contents. Stressing that this was what he wanted to clarify, the lawyer added that the defense was sure that Valiyev had gone to the police office not on September 29 but on October 1. “The reason we believe this is that the offense was initially prosecuted under article 221.1 (hooliganism), but when they later changed it to article 221.2.2 (hooliganism committed through resistance to a representative of the authorities or another person protecting the public order or preventing its infringement) they added Oruj Valiyev and Mahammad Gurbanov as victims,” Yalchin Imanov said. Mammad Ibrahim said he did not know Oruj Valiyev, and accused him of slander, calling him a “police stooge”. 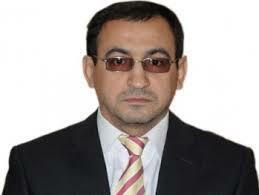 Mammad Ibrahim’s lawyer Yalchin Imanov filed a verbal motion at the hearing. Citing the victim’s memory problems, he requested that Valiyev undergo forensic medical examination, given that the verdict would be reached on the basis of his potentially unreliable testimony. The judge requested that the motion be submitted in written form at the next hearing, which is scheduled for January 22, 11.00am. Background: Mammad Ibrahim was arrested on 30 September 2015, in a criminal case launched on the basis of the complaint made by former APFP member Mikayil Guliyev. He was first charged under article 221.1 (hooliganism) of the Criminal Code. Almost a month later, two others, Oruj Valiyev and Mahammad Gurbanov filed a complaint claiming that during the incident Mammad Ibrahim had also punched them. The initial charge against Mammad Ibrahim was subsequently replaced by a more serious one under article 221.2.2 of the Criminal Code, which stipulates a punishment of imprisonment for up to five years or correctional labor for up to two years.